At Christiansen Heating & Sheet Metal, all projects are custom designed no matter what size the project We pride ourselves on our attention to detail and dedication to seeing your project completed properly and according to your needs and specifications. Whether it is a Church, School, Restaurant, Bakery , Tan Salon, or other commercial building we have the experience to get the job done. 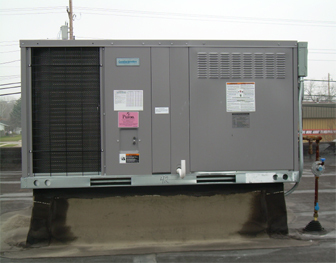 Many commercial buildings are cooled by self-contained, packaged air-conditioning units. 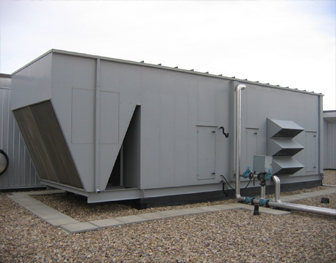 These units are generally installed on the rooftops of the buildings to save space. These rooftop units are sometimes also equipped to provide heat to a building. Christiansen Heating & Sheet Metal installs, services and performs maintenance on many types of rooftop units. If you are considering replacing a system or installing one we will gladly inspect your building and make recommendations for the types and size of units needed for your comfort level. 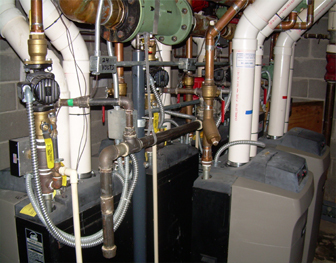 Christiansen Heating & Sheet Metal can install and maintain many types of hot water and steam boilers to meet your needs. We can maintain oil-fired boilers, gas powered and even solid fuel boilers such as wood or coal burning boilers. Our team of Boiler Installation experts are qualified to replace your boiler or carry out repairs to your existing boiler as necessary. If you are thinking of replacing your current boiler and need some advice, give our helpful team a call. We will be delighted to guide you through the different boiler installation options available to you and arrange a visit from one of our professional specialists. Air make-up units are designed to condition the ventilation air that is being introduced into a space or to replace the air that has been exhausted from a building. 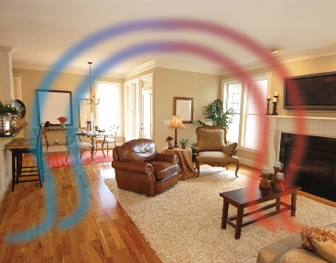 In some cases, the air can be heated beforehand in order to match the temperature of the building's existing air. Air make-up systems usually draw fresh air, with the help of a blower, through a series of dampers, shutters and filters. It is then forced, through a distribution duct, into the building, effectively replacing the air that has been exhausted from the structure. We are able to do everything needed to install the industry's highest quality hoods. Our teams are fully-trained, certified, licensed and knowledgeable of state & local building codes. We will review your specifications of the project, recommend and install the appropriate ventilation system to provide you with the solution that meets the unique requirements of your kitchen. We understand the importance of the providing the correct ventilation system the first time. 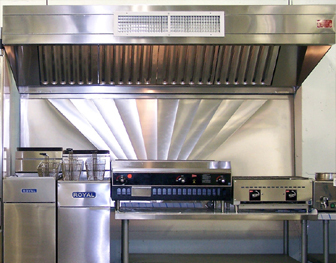 Appropriate kitchen ventilation system designs ensure building code compliance, safe work environments, and comfort for cooks & patrons. Fueled by gas, electricity, or oil, a forced-air distribution system is just what the name implies. Air is forced from the furnace through ducts to registers in various rooms. Besides warming the air, the blower system that distributes the warmed air also returns the cold air to the furnace so it can be rewarmed and distributed to the rooms again. Christiansen Heating & Sheet Metal will custom design a forced air system to fit your needs. Just give us a call and one of our highly trained technicians will work with you to provide the best solution for your needs.